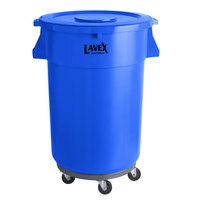 Our trash can kit selection includes a variety of colors, enabling you to color-code your waste containers or match your venue's décor. 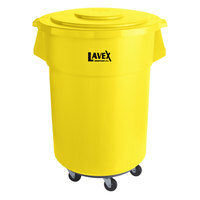 A vibrantly-colored recycling bin kit grabs your guests' attention and informs them where to dispose of their garbage or recyclables. 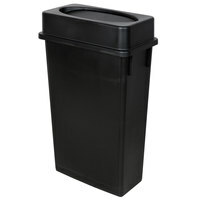 Thanks to their transparent design, a clear trash can kit showcases any improperly disposed trays, flatware, recyclables, or other materials. 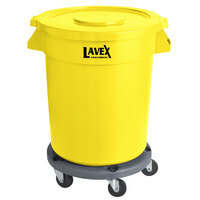 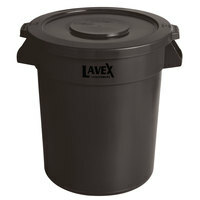 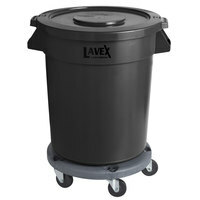 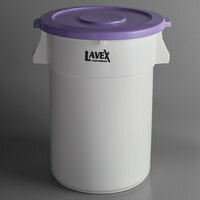 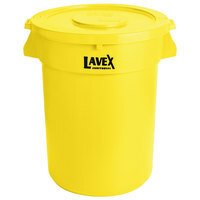 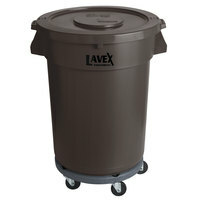 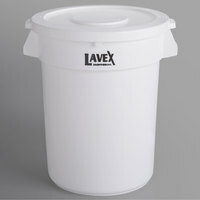 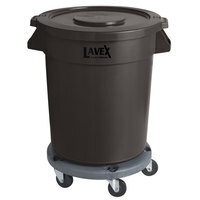 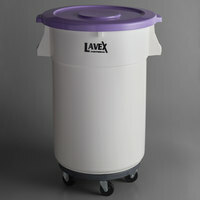 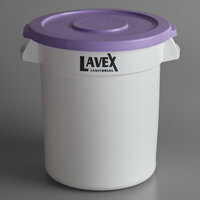 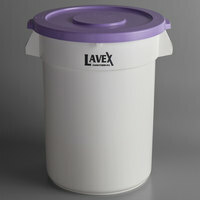 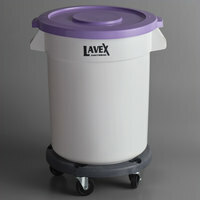 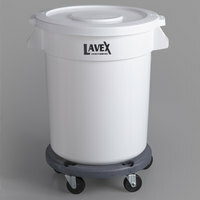 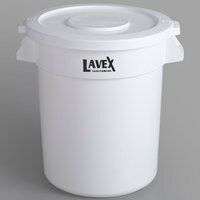 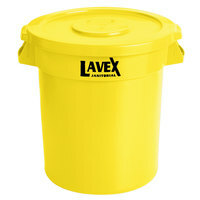 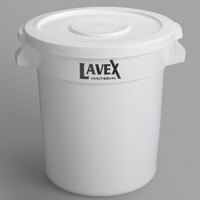 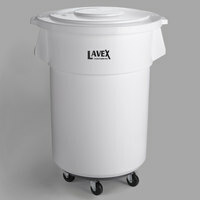 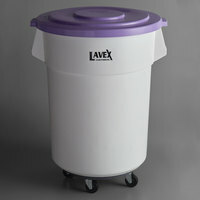 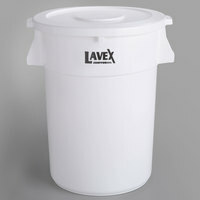 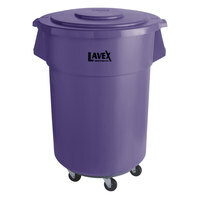 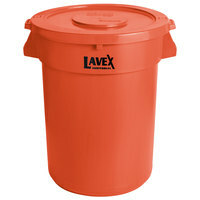 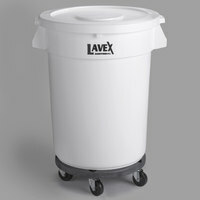 Also make sure to check out other great items from Lavex Janitorial, Carlisle, Continental and Rubbermaid. Simplify your garbage collection with these kits' black polyethylene plastic dolly and easy twist-on lock, which firmly holds your trash and recycling bins in place. The dollies of each trash can kit also include five integrated swivel wheels, enabling your staff to effortlessly move hundreds of pounds of waste. When not in use, every recycling bin kit is nestable for compact storage. Complete all your garbage collection needs with disposable gloves, trash pickup and reaching tools, and trash can liners / garbage bags. 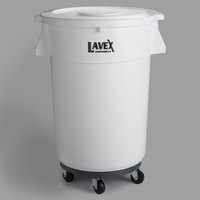 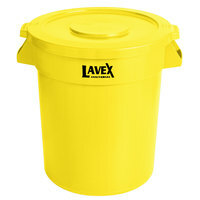 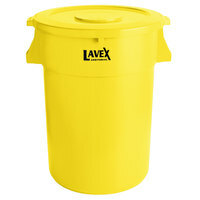 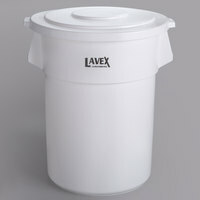 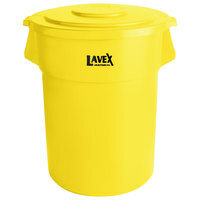 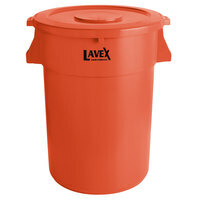 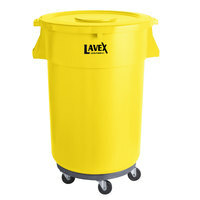 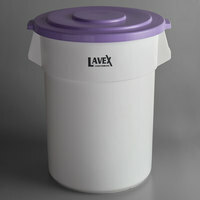 If you're wondering where to buy lavex janitorial trash can and recycling bin kits, we have a large selection of lavex janitorial trash can and recycling bin kits for sale at the lowest prices.